Prenatal Yoga – Wednesday Evenings! Join Us! Click on Link for Laughing Yoga! Join our MEETUP GROUP and be a part of ongoing prenatal support! Click on the link below! I am passionate and so happy to finally be teaching yoga again, especially prenatal yoga. When a woman commits to herself, her pregnancy, her child, she will take the steps necessary and required of her to maintain her health and wellbeing throughout the pregnancy. Being committed and having a consistent yoga practice is so important to a pregnant woman’s state of mind and physically body. Please join us this Every Wednesday at 7:15pm-8:30pm at Seventh Chakra Yoga in Huntington Beach, CA 92646 and step into the healing womb of your own being as you commune with yourself and commune with your baby. “Pregnancy is one of the most special times in a woman’s life. 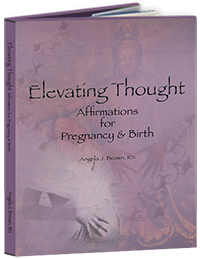 It is a time for nurturing, slowing down and learning to meditate, while being in the company of other mothers-to-be. These unique Prenatal Yoga Classes provide safe, simple and effective exercises designed to strengthen and relax your rapidly changing body, preparing you for a conscious childbirth. Join other pregnant women as you strengthen your physical body with yoga, and bring clarity and fearlessness to your mind through meditation, and free yourself with dance.